Click the button below to add the New Tire 225 60 16 Falken Sincera SN201 All Season 98H 65K Mile P225/60R16 to your wish list. If you are looking for a high mileage good all season tire at a great price, the Falken Sincera SN201 is the best option for you. The Falken SINCERA SN201 A/S TIRE All-Season Touring The Falken SINCERA SN201 A/S consistently provides all-season performance and comfort through an advanced manufacturing process, cutting-edge product features and quality construction. The tire is designed for compact and mid-size vehicles and delivers superb all-weather responsiveness and excellent durability at an exceptional value. The SN201 A/S is engineered to meet and exceed all critical touring tire expectations and is available in 14"-18" rim diameters. The SN201 A/S is offered in both T & H speed ratings with Falken’s 65,000-mile Limited Tread Life Warranty. Tire has a 65,000 mileage warranty from Falken, the tire manufacturer. Contact Falken with any questions regarding the warranty. We offer a Nationwide Road Hazard Warranty on most New Passenger and Light Truck tires that we sell. The cost is only $10 per tire and it will cover you across the 48 continental United States. Call us at 1-888-513-8473 with questions on setup of the plan. When calling please have the Tire DOT numbers & Your vehicle year, make, model, mileage. 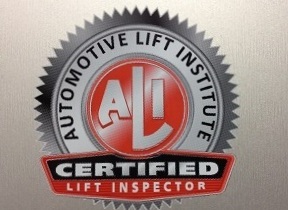 Once setup is completed we will mail you the warranty card to keep with your vehicle. Since this plan is offered Nationwide, to file a Road Hazard Warranty claim call 1-800-351-8565. 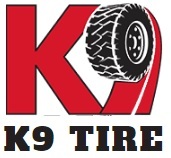 Tire rotation every 6,000 miles is required for any warranties.